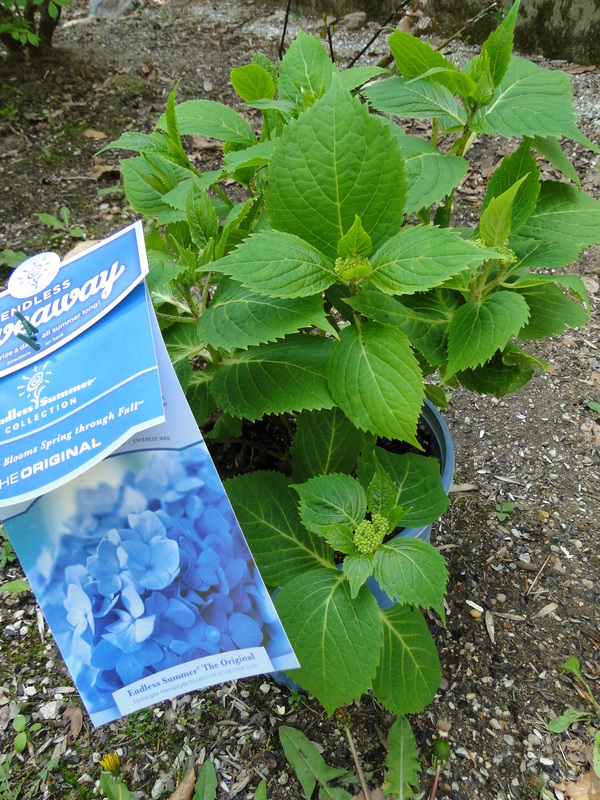 Time To Plant the Hydrangeas Folks! Finally — it’s hydrangea planting time! I’ve been waiting for the local nurseries to have their hydrangea shrubs out for sale and it seems that they all get them in and ready to go just before Mother’s Day. So this week is an excellent time to shop for hydrangeas. This is the first time I have bought the plants myself. My yard is in desperate need of landscaping and color is a must so I hoped to find a variety of colors to choose from and I was not disappointed! I bought six hydrangea plants at The House By The Side of The Road in Wilton, New Hampshire and I only stopped there (at six) because my cart was full! They offered a wide selection with many plants to choose from in each group and most all of them looked very lush and healthy. I expected to pay a lot since hydrangeas are popular flowers, but the pricing was reasonable I thought and ranged from $29.99 to $36.99 each and they are good size plants. I have a lot of shade in my yard, but fortunately hydrangeas can take the shade – as long as they do get some sun. I bought some bone meal and compost soil amendment at Agway and headed home to get planting.